Don't let the weather put you off making valuable memories with the people you love. Escape the drudge of working life to embrace the natural elements in all of their glory. 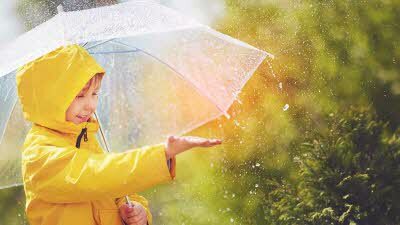 Don’t avoid the rain, embrace it. Get your wellies and waterproofs on and head out for a brisk walk in many locations surrounded by sensational, natural beauty. 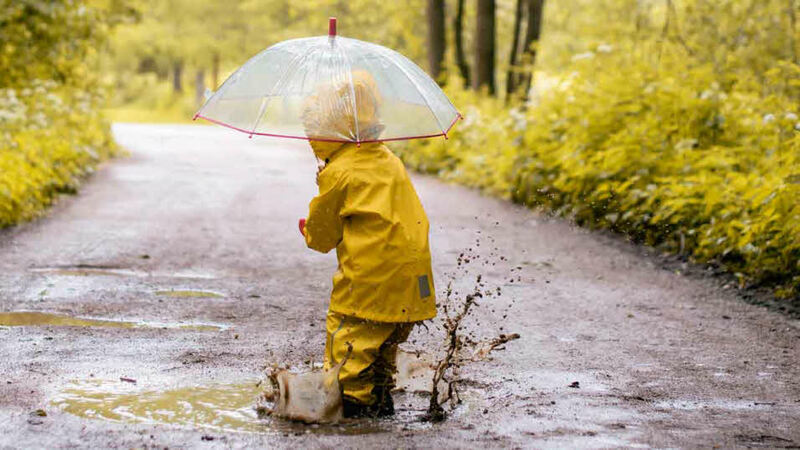 As a child, nothing beats being given the freedom to make a mess and the wet weather provides so many opportunities for this. Let all of your group (including dogs if you own them) revel in the rain as you soak and splash in deep, muddy puddles. Puddle jump races are great fun; make it more competitive by making someone responsible for timing who jumps over a course of puddles first. So many of our Club sites are close to rolling hills or magnificent, open landscapes which are perfect for such walks. Be inspired by our top recommended sites for autumn or winter touring. Take shelter and indulge your taste buds with a wholesome meal. There’s always time to visit a cosy café for afternoon tea and cake or a restaurant serving fresh fish and chips. Nestle down to eat by a traditional, pub fire. Take a look at our sites across the country which are near to our member's favourite pubs. Return to your toasty caravan, dry off and warm up with a hot drink and fresh clothes. Make sure you have left a clean towel out in preparation for your return. put any wet clothing or muddy dog towels out on the awning. It goes without saying how tempting it can be to stay indoors on a rainy day, glued to some form of screen or device. But spending quality time together is far more memorable. In the age of smartphones, tablets and gaming, it can often feel like technology has invaded our lives. It is increasingly altering the experience of childhood more than ever before and its addictiveness is a known phenomenon. Of course, digital advances aren’t a bad thing, but going outdoors provides us with different experiences. It’s time to take a healthy break from the screens and not limit our understanding of the life around us. Head outside to value and appreciate the wonderful natural world in a safe, site environment. Observe the seasonal changes and explore the elements at first-hand. 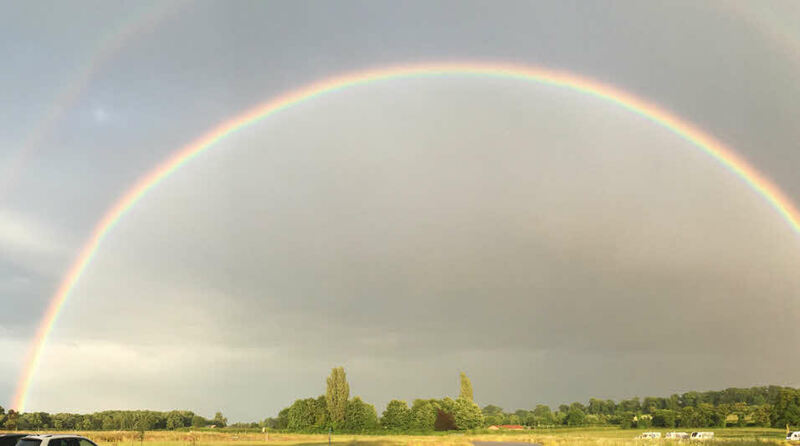 You never know, there might also be a rainbow to spot in the sky. taking part in a nature or conservation project which many of our sites encourage. creepy crawly hunts. See who can complete their checklist first. Slimy slugs or snails, wiggly worms and friendly frogs are all creatures which come out in the rain to engage children’s natural curiosity. gardening, planting or discussions around growing food and weather to prompt children’s innate inquisitiveness. Being outdoors provides plenty of opportunity to engage and channel curiosity; from skimming the stones, climbing the tree stumps and collecting things from the wild. As a family, you can learn more by following up with a nature book back indoors. 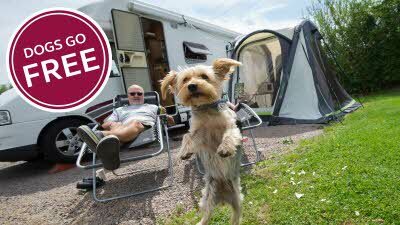 If you're desiring a more active tour with a great base to stay, we have caravan sites near to all of the UK's 15 National Parks, meaning you can discover a range of beautiful areas from enchanting woodlands and mountainous regions to wild wetlands. Although bird watching in the rain doesn’t sound like everyone’s idea of fun, you might be surprised at how rewarding and worthwhile it can be to observe an array of bird species while developing an integral understanding of the outdoors. Our sites offer incredibly picturesque locations which are ideal for observing all kinds of wildlife. 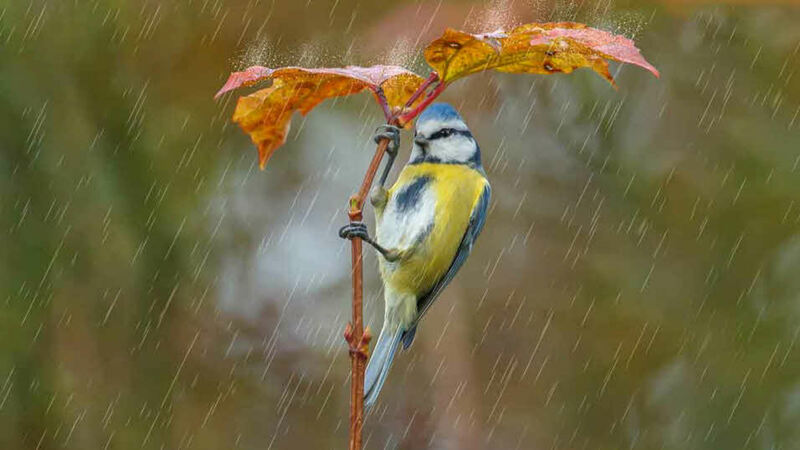 Understandably, UK birds are well adapted to living in the rain and, in general, normal birding activity levels are not hugely impacted by the weather. However, birding in wet conditions can equally be extremely insightful. The wild variety can differ and you may observe other behaviours which contrast to those in dryer conditions. Seeking a rain-proof spot in the wild and ensuring you’re comfortable in lightweight waterproofs, specially designed for birdwatching, will enable you to get the best from the experience. A waterproof birder’s journal . A rain-proof bird watching jacket available at Country Innovation. Members can save 15% with Mountain Warehouse too! A Springwatch Junior Birdwatching Kit to get the kids more involved. If you would rather keep dry and not pack the binoculars, you can still get close to rare species by visiting an RSPB reserve. Some of our club sites neighbour these and members of the Club receive free entry. Indeed, many animals really don’t mind the rain and, depending on where you are, the wetter weather can increase the sharpness and definition of photos and provide clearer reflections in water. With a slower shutter speed, you might be able to capture motion more accurately. 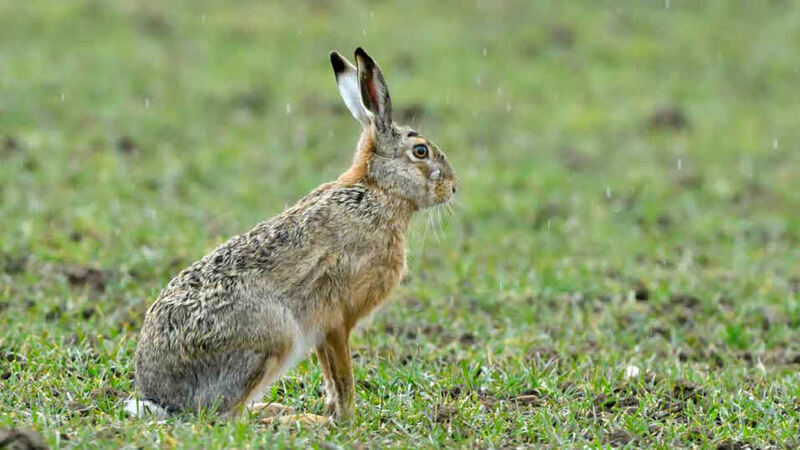 Jim Richardson, a photojournalist whose images frequently appear in National Geographic magazine, offers some useful top tips on how to stay safe and make the most out of photographing in the rain. It’s worth noting that if the weather does get too much, there’s always the option to head back to the caravan to enjoy editing some photos you have taken on Photoshop. Also, as a club member, you are eligible to receive special discounts on Canon products. Going on holiday in adverse weather doesn’t have to result in the spending lots of money or being fixated on screens. Escaping the normal everyday, combined with being in a different environment, can be a strong basis to make some time for traditional, family games. Playing a good game is not only exciting but can afford new, invaluable learning experiences from encouraging inclusivity, turn-taking, following instructions and handling the emotions that come with winning or losing. Nothing brings people together like a board game and most of us have played the popular classics such as Jenga, Cluedo, Guess Who or Monopoly (in all its varied forms). There are now such an abundance of board games on the market, whether you’re into the classic bestsellers or newer games. 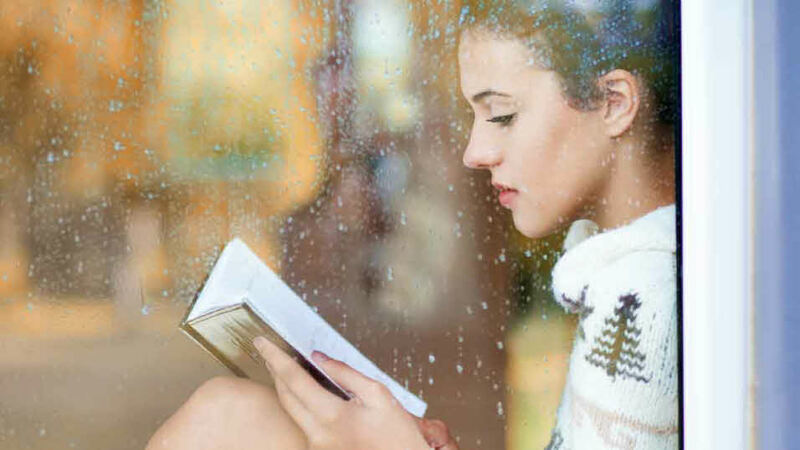 There’s something blissful in the idea of listening to the downpour pattering on your windows whilst snuggling down to read a bestselling book. If you have children, building a fort with pillows and duvets creates a cosy space ideal for reading. Yet how often do we make time for such simple and satisfying amusements? Visiting the local library nearest to your site is an enjoyable, rain-free activity which all of the family can benefit from. Sometimes you can’t beat relaxing when getting away to a new site. Make the most of the downtime that’s both rare and precious; finish your project, keep your brain active with Sudoku and crosswords or complete a jigsaw. If you feel like it, have a restful nap after lunch. Getting away doesn’t always have to be action-packed, it is about recharging too. The UK is renowned for having such a rich and varied history. There are a wealth of places scattered all around the country, whether of historical or geographical interest. Many of these are under roof and perfect for visiting on a rainy day out. check our suggested top sites near to historic houses. make the most of our gift card member offer with the National Trust. see which of our sites are best for visiting National Trust locations. browse our top sites near to English Heritage places. consider cathedrals, churches, art galleries and museums in the area you’re staying, many of which are now interactive and child-friendly. have a look at your local amenities and leisure centres. think about soft play, bowling and keep fit-indoor activities. look up climbing centres, indoor crazy golf circuits and trampolining parks. see what's showing at nearby theatres or cinemas (find out if any film clubs run at local cinemas as they often have discounted prices on family favourites). Our Great Savings Guide will not only offer you discounts on a range of local attractions. It will awaken more fresh ideas for great days out, especially when the sun is not shining.